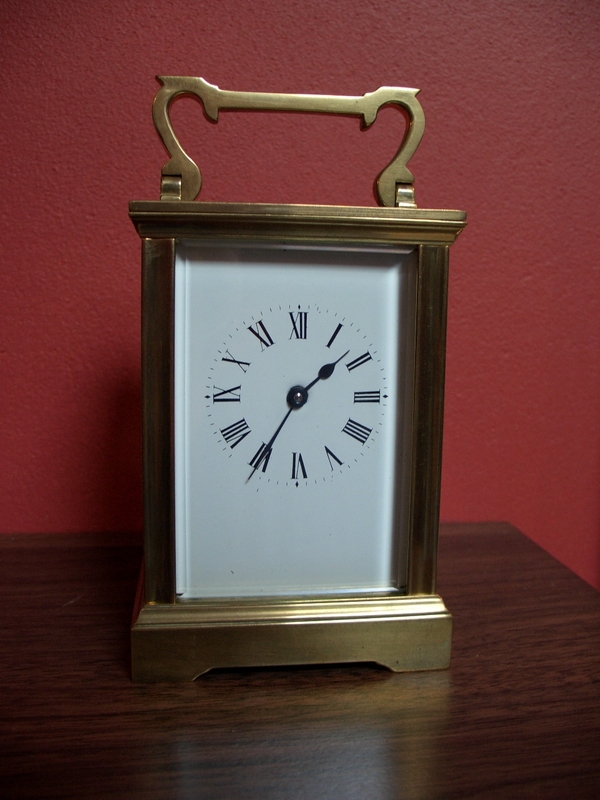 Home / Product / Matthew Norman carriage clock – SOLD. 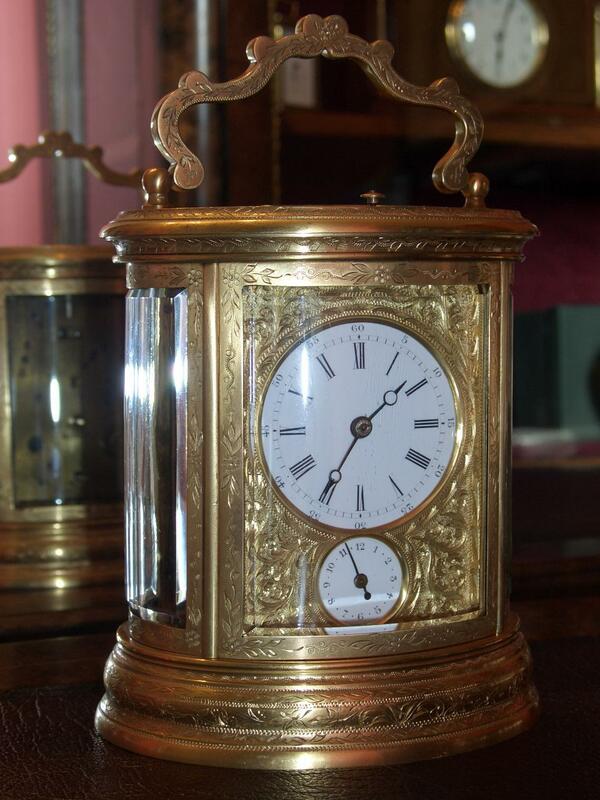 Matthew Norman carriage clock – SOLD. 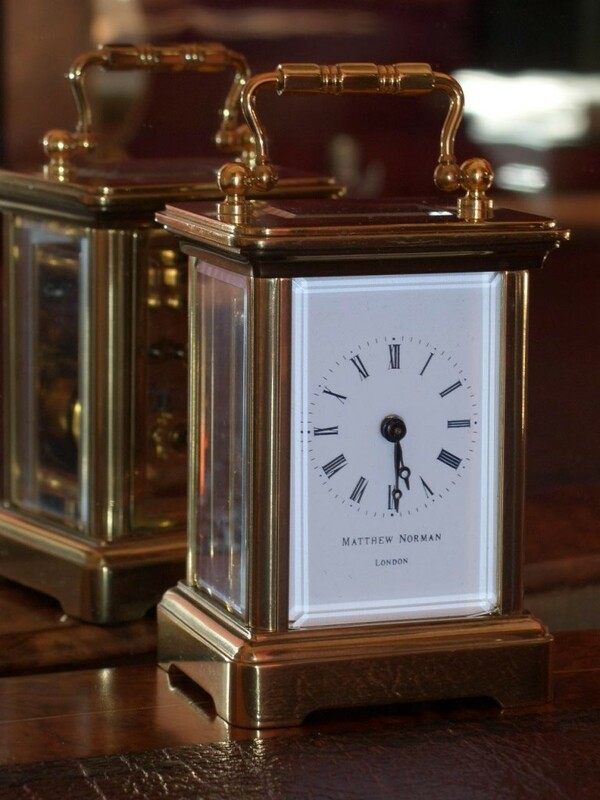 Small Matthew Norman carriage clock. 8 day timepiece movement, signed Matthew Norman, London 1760 on back plate. 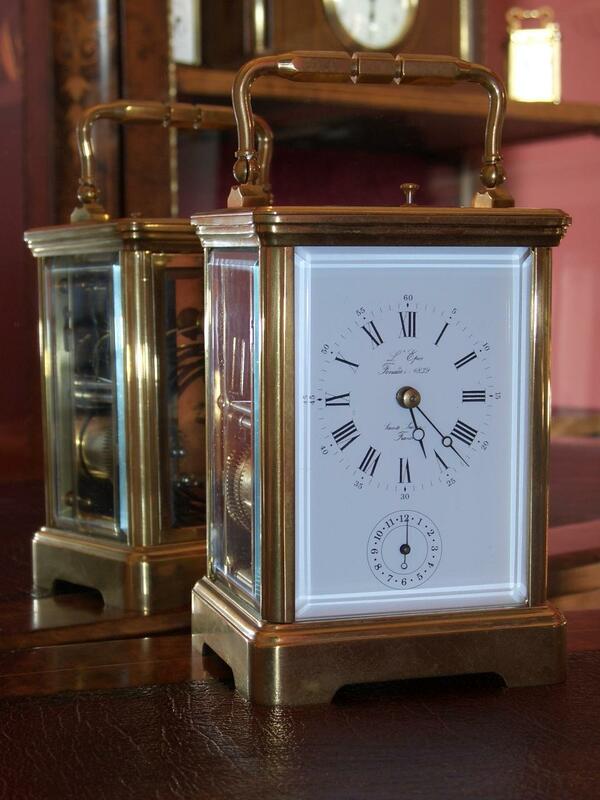 Solid brass case with 5 bevelled glass panels. Made in Switzerland with original Breguet style hands and Jewelled lever escapment. Fully restored with one years guarantee. Height 4" (10cm) with handle up.